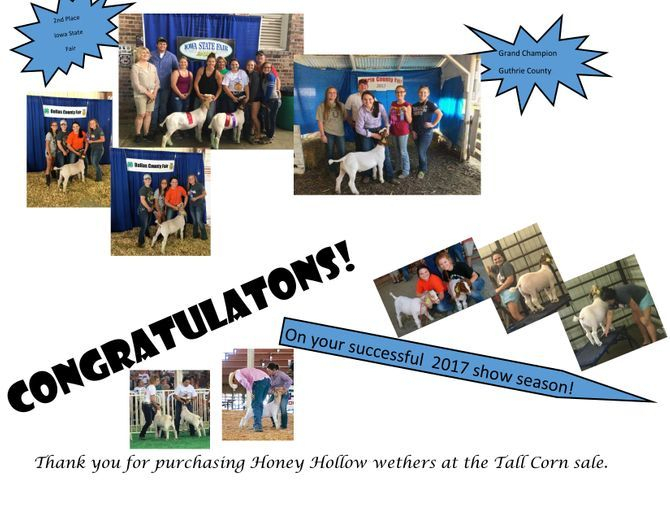 In 2017, Honey Hollow sold nine wethers. 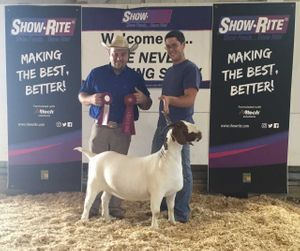 Out of the nine wethers there were: six Grand Champions, seven blue ribbons and one in the drive at the Iowa State Fair! Congratulations Evie and TRV Not Just a Pretty Face - 2nd place at the Fort Worth Stock Show!!! What an awesome showing for TRV Not Just a Pretty Face. 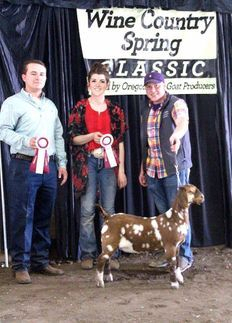 We are so happy to see a daughter of GRI Honey Hollow Dream Team Delight doing so well in the showring. 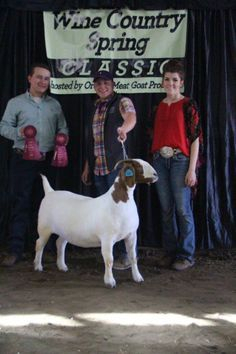 We have been very pleased with the kids sired by AFB2 Face It doing so well. 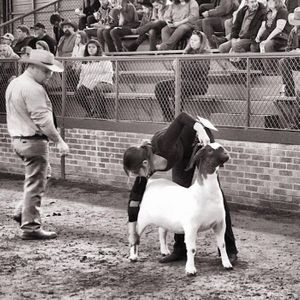 AFB2 Face It (sire- Face the Facts Ennobled) is owned by Beyer Patch Goats and Honey Hollow and we will be offering more of his kids for sale this spring! 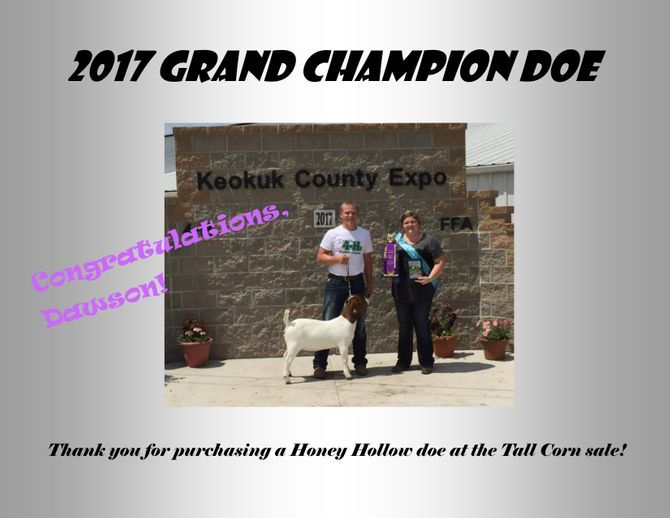 MADI Sprinkles - Overall Full Blood Grand Champion 5.27.17 - Dam is GRI Honey Hollow Enchantiing Rouge. Maddie bought Rouge at the Tall Corn sale. We bred her to Geronimo and their buck kid is really big and wide! GRI REGEL Honey Hollow Geronimo - This buck was a winner all 2017 season. There just aren't any holes in this buck. And we now have 2018 kids on the ground from him and they are awesome! 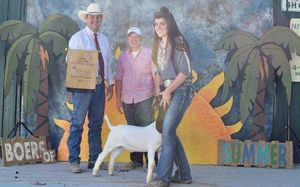 The youth did an awesome job this year of working with their goats, fitting them and showing them. 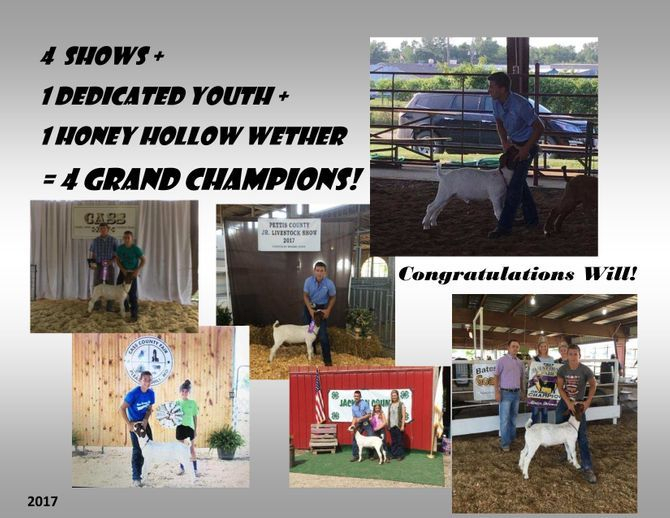 We were honored that these dedicated youth bought Honey Hollow goats for their projects.